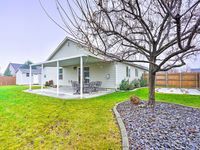 Spacious home on River in Richland with hot tub! Property 5: Spacious home on River in Richland with hot tub! Wine tasting from this eco-friendly, solar powered home with stunning views. Property 10: Wine tasting from this eco-friendly, solar powered home with stunning views. Book now and receive 2 tastings to Hamilton cellars! Property 19: Book now and receive 2 tastings to Hamilton cellars! Red Mountain Villa: a riverfront property in Washington State wine country. Property 23: Red Mountain Villa: a riverfront property in Washington State wine country. Warm, Nice ,Cute And Spacious home. Property 28: Warm, Nice ,Cute And Spacious home. Klipsun Cottage - Red Mountain hideout among the vines. Property 31: Klipsun Cottage - Red Mountain hideout among the vines. Hacienda del Klipsun - Million-dollar views! Property 36: Hacienda del Klipsun - Million-dollar views! Great house!! It was a perfect place to stay for our soccer tournament! Clean and comfortable! We enjoyed having our family stay together in this house for our sons wedding. 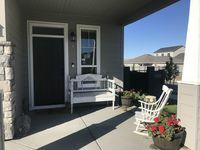 It&rsquo;s in a cute new neighborhood and seemed well located for easy acces to nearby amenities.